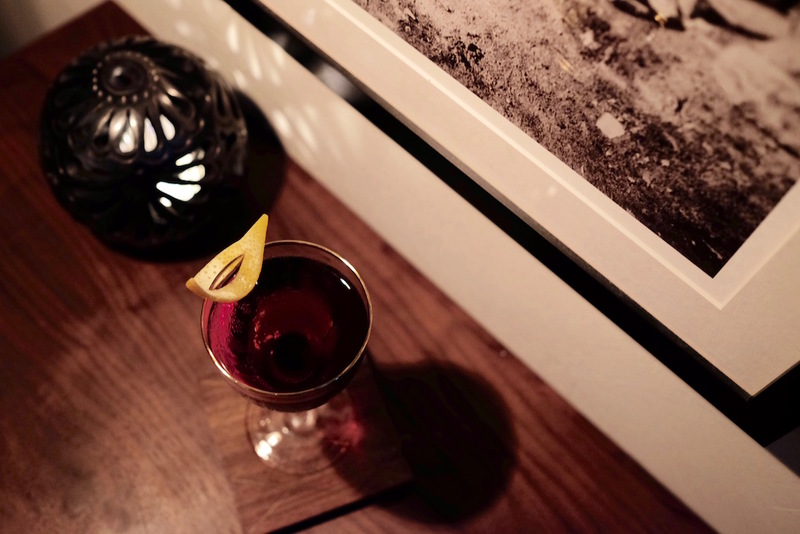 Hidden speakeasy Junior is a new tiny little bar tucked away inside its elder sibling Crackerjack. 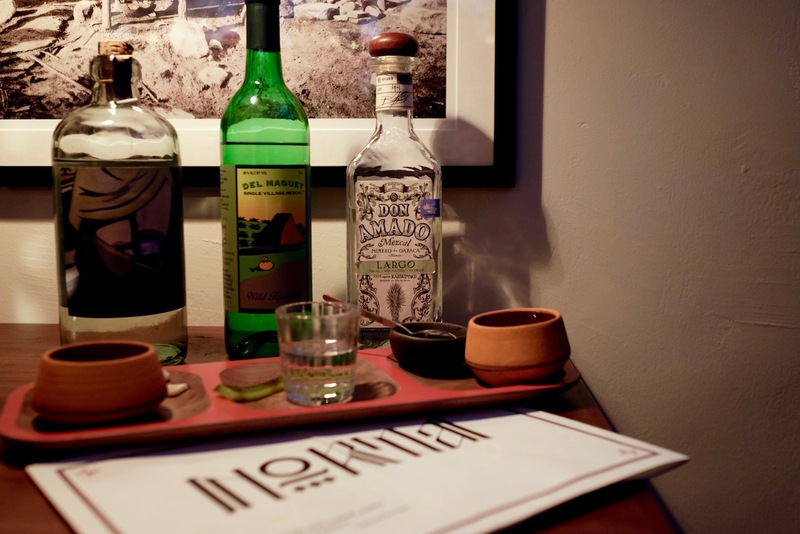 The teeny, weeny little space also hosts a pop-up concept, and the current one is set to push premium agave spirits such as mezcals and tequilas into the big time. Our favourite coffee shop-restaurant-bar hybrid Crackerjack hides a little secret. In one of its back rooms behind an unmarked door – although normal access is through yet another nondescript entrance on a side alley off Cook Street – is a 10-seater bar so small it’s wholly deserving of its name, Junior. If a bar within a bar comes across as odd, bartenders Peter Chua and Zachary de Git – who conceived the idea with their colleagues from The Proof Collective – will tell you that the separate space lets them do things that is difficult to do in a larger space, and allows them to experiment with concepts that may not be suitable for Crackerjack. Such as NORMA. NORMA is a pop-up concept that Junior is currently running that offers an extensive range of spirits distilled from agave, such as agave and mezcal, many of which are sourced from small batch artisanal producers. Most Singaporeans are typically exposed to cheaper (and generally inferior) versions of tequila, but Chua and de Git wants to use NORMA to educate drinkers and help change perceptions. Mezcal and tequila are both spirits distilled from the agave plant. While mezcal is made from almost 30 different kinds of agave and made in a wider geographical area with production centred around the city of Oaxaca, by law tequila can only be made from blue agave in the state of Jalisco and in small pockets in four other Mexican states. Indeed, drinking at Junior is an exercise in agave education; Chua and de Git readily rattle off their vast knowledge of the various distillates you can get from agave. From the more common tequila and mezcal to the less known raicilla, you can easily learn from them the different kinds of production methods where agave spirits are concerned. The easiest way is to do so is to order their tasting flights; the Aged Tequila ($55++) flight comes with Siete Leguas Reposado, Tapatío Añejo, and the Fuenteseca 9 Year Extra Añejo, for example, while the Wild Mezcal ($46++) flight takes you through Del Maguey Tepextate, Don Amado Largo, and Derrumbes Michoacan. If you’re done with those, the intrepid bartenders can easily customise a tasting flight based on your personal preferences. What’s even more fun about the tasting flights is the little nibbles that come with them; there’s the likes of cheese, pickled jicama, and even bak kwa for pairing experimentations. For those who cannot stomach their spirits neat, NORMA also offers a slew of agave based cocktails. The Mezkale Sour ($21++) is a cheeky take that combines Alipús San Andres Mezcal, pineapple, lemon juice, and kale for an earthy yet floral kick. The Raicilla When I See Ya ($22++) made with La Venenosa Raicilla Costa de Jalisco is catered to those who like their spirit- forward, punchy libations; while our favourite Remember The Maine ($25++) reinvents the Manhattan, replacing the usual whisky in the classic with Purasangre Extra Añejo Tequila and combining it with Cocchi Vermouth di Torino, Averna Amaro, cherry brandy and absinthe. If there was a bone to pick with Junior aside from its really small space – without reservations you’re likely to be turned away – is that there are next to no food options. There’s only either duck tacos, guacamole and chips, or both. What’s a nice touch though is that at 10pm each night they make and serve fresh guacamole on-site for free. But the truth is you don’t visit NORMA for food. 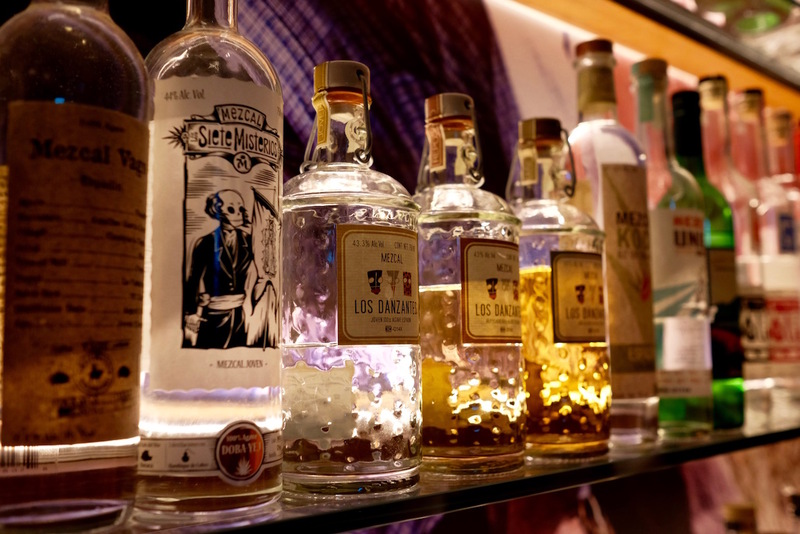 You go there because the concept pop-up is probably the only place in Singapore right now where you have access to over 80 different agave spirits, and where you can learn more about agave than from a drunk Mexican. The pop-up concepts at Junior will rotate, and NORMA runs from now till sometime in February 2018. The agave spirits can and are likely to run out before the appointed changeover to the next concept – so what you need now is to make a reservation. And then find the right entrance.